Power your pedals with Ojai R30—the highest horsepower, most technologically advanced effects pedal power supply of its size. You get clean, rock-steady power for your 9V, 12V and 18V effects pedals in a low profile, expandable package, giving you room to grow. Ojai R30’s dual-stage topology, pre-regulated outputs, optically isolated feedback, and advanced multistage filtering allow your pedals to achieve their highest possible dynamic range. Ojai R30’s all analog circuitry offers two stages of isolation, completely eliminating ground loop and AC line noise issues, allowing your pedals to sound like they were designed to sound. 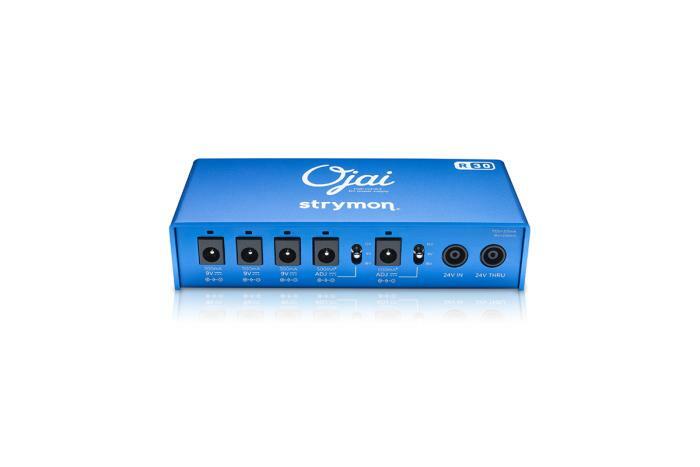 With automatic international power compatibility built-in, Ojai R30 delivers clean, reliable power to all your pedals, on any stage anywhere you play in the world. Do you have pedals that require 12V or 18V? Ojai R30 has you covered. Two channels have selectable 9, 12, or 18V output voltages. Some analog pedals designed for 9V operation may provide higher output and/or more clean headroom when run at higher voltages such as 12V or 18V. However, others will simply start smoking and melting, so please check with the manufacturer of your pedal before operating at a higher-than-standard voltage! Have a growing rig? Ojai R30 is part of an expandable system. 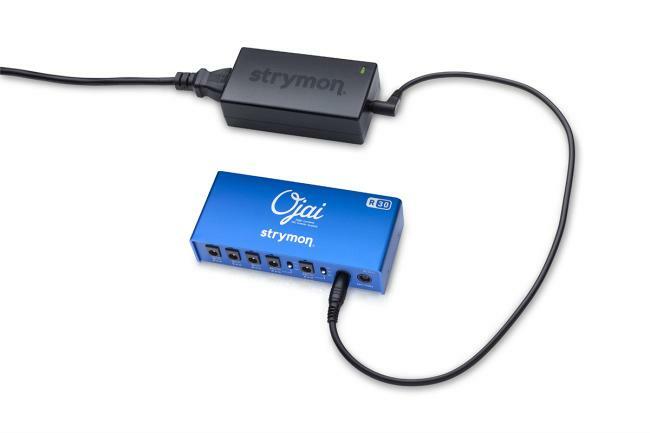 Gain more outputs by connecting additional Ojai units to the 24V Thru jack. 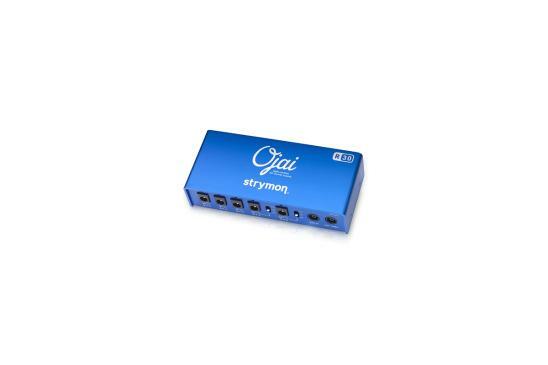 Or use Ojai R30 to add five more outputs to our Zuma power supply (sold separately). We want to build products with no compromises. We want to push the limits of technology in music. We want to redefine what is possible with music gear. We want to use exceptionally great components and ridiculously powerful processors. We want to make gear that sounds better than anything you’ve ever heard. We want to make our customers happy. We want you to be inspired to create amazing music.